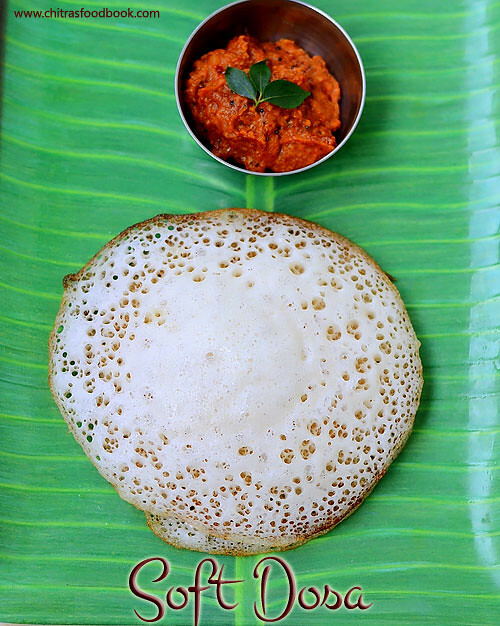 Appam is one of the most popular South Indian breakfast recipe. It is commonly found in Tamil nadu and Kerala hotels. 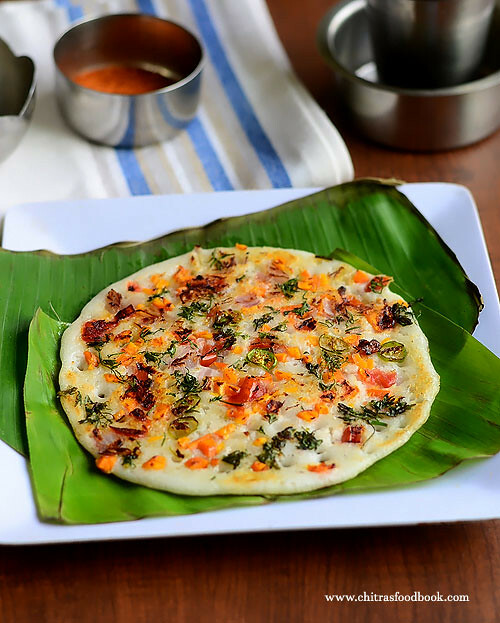 Tamil nadu style appam can be prepared in many ways. In my family, everybody loves appam very much. So I make it at least twice in a month. I have experimented and shared different recipes for appam like appam with cooking soda, appam without soda adding ENO and have made appam recipe using idli, dosa batter as well. But I have never thought of trying Kerala’s traditional appam recipe popularly known as Palappam. Recently when I was going through my Instagram feed, I got tempted by seeing a picture of Kerala Appam served with vegetable stew for breakfast. Since then, I was searching for traditional Kerala style appam and found many recipes with variations. I found it can be prepared with yeast , without yeast and even with rice flour. This time, I tried the traditional appam recipe using raw rice and yeast. 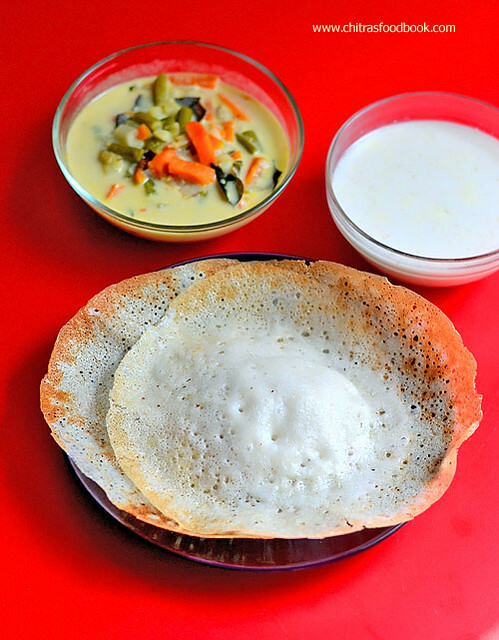 Now I wish to try the easy appam recipe with rice flour and see the difference in texture.Soon I will share restaurant style vegetable stew recipe. Now lets see how to make Kerala Palappam recipe using raw rice and yeast !! Wash and soak raw rice for 4 hours.Chop the coconut into small pieces and grind it coarsely. Instead you can grate the coconut and grind it along with rice. Grind the soaked rice adding grated coconut, cooked rice, salt, sugar and yeast till it becomes a smooth paste. You can grind in a grinder or in a mixie. You can use coconut water while grinding. But do not add more water and make the batter watery. Transfer the batter to a big vessel and cover it with a lid.Let it ferment for 8 hours. I kept it for 12 hours as winter has started in my place. After fermentation, the batter would have become frothy and almost doubled. Mix well with a ladle and add some water if the batter is too thick. The consistency of batter should be like regular dosa batter. Heat an appam pan and pour 1.5 ladleful of batter. Swirl the pan and make a circle. 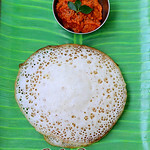 The center part of appam should be thick and the sides should be thin and lacy. Drizzle a tsp of oil around the appam and cover it with a lid. Keep the flame low to medium.I cook till its bottom turns light golden brown and corners turn crispy. 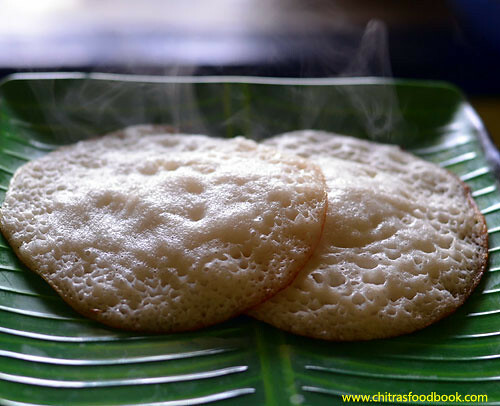 If you want soft, white colored appam, remove it before the corners turn crispy. 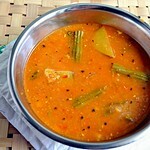 Remove and serve hot with sweetened coconut milk and vegetable stew. Traditionally yeast is added in Palappam/Kerala appam. But if you don’t like its smell, you can avoid it. If you are not using instant dry yeast, you should proof it. For this, dissolve 1/2tsp of yeast in 1/2 cup of warm water,1 tsp sugar. Mix it well and cover with a lid. Let it sit for 15 minutes. Check to see if the mixture turns frothy. If its active, add this mixture to the rice and grind it. If its not frothy, yeast is not alive/active. In that case, discard it and use a fresh yeast. Cooking appam is medium flame patiently is more important else appam will burn in the bottom. To make sweetened coconut milk, Grind 1cup of grated coconut adding 3/4 cup of warm water. Grind smooth and strain the coconut milk in a sieve. Collect them in a bowl and mix 1/4 cup of sugar and 1/2 tsp of cardamom powder to it. Mix well. Heat the coconut milk lightly till its warm and mix well for the sugar to dissolve completely. Do not boil the coconut milk. Serve warm with appam. 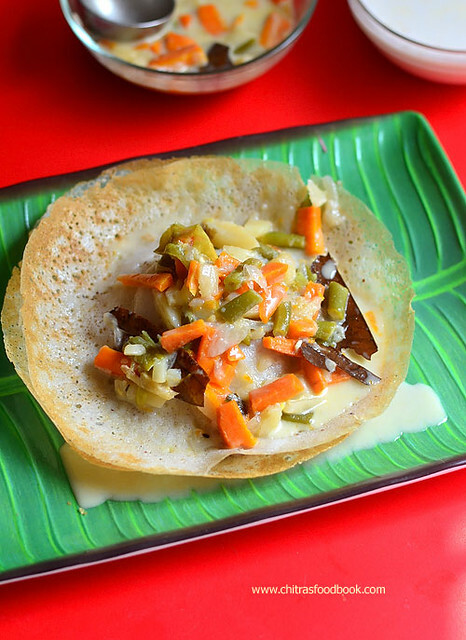 Enjoy this traditional Kerala Appam With sweetened coconut milk and Vegetable stew for a delicious breakfast ! 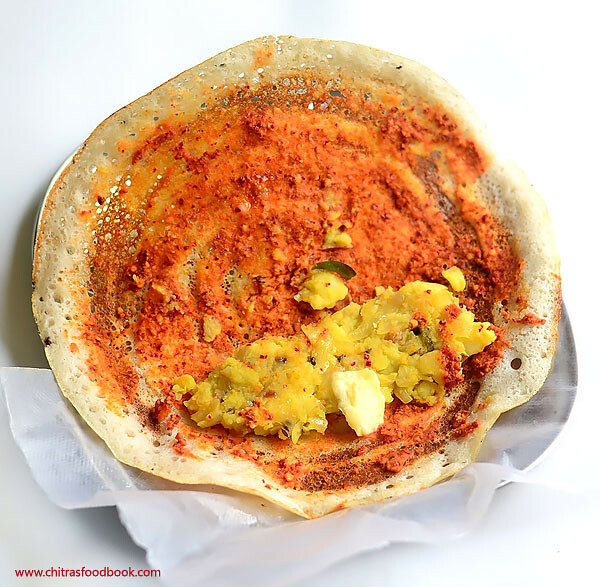 Recently I tasted vazhaipoo uthappam in Salem Saravana bhavan – Aasai Dosai restaurant. It was very tasty and I din’t have the feel of eating vazhaipoo/ banana flower. As its a healthy dosa, I wanted to try at home. I was able to guess the ingredients of the masala(topping) and recreated the same. It came out very close. Sendhil loved it a lot. Most of us make Vazhaipoo usili, vazhaipoo vada and even vazhaipoo adai at home. This vazhaipoo dosa is sure a welcome change from them. The consumption of banana flower would be more in this dosa. Make this dosa for your husband and ask him to guess the ingredients. 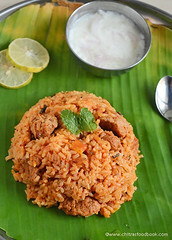 He would love its taste for sure and definitely becomes surprised to know it is a vazhaipoo recipe. 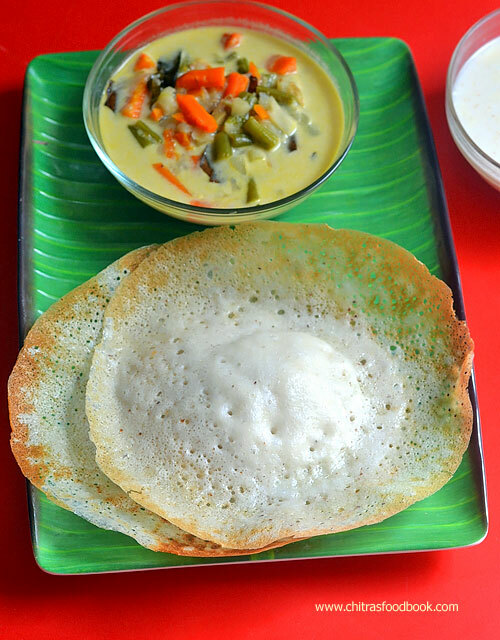 This dosa tastes the best with coconut chutney . 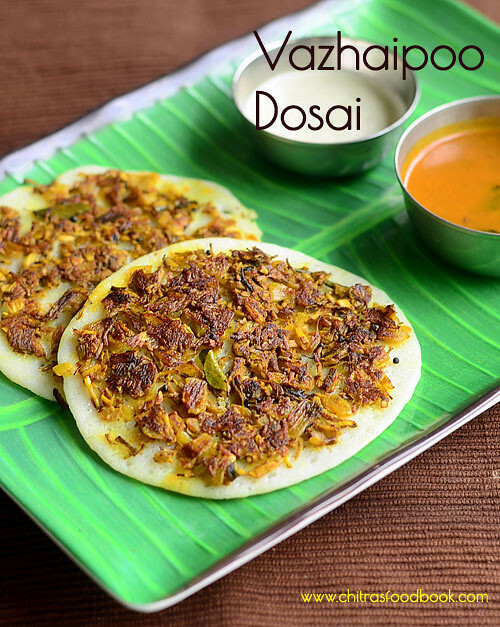 Make sure you use fresh banana flower and its not bitter to taste.Ok, let see how to make restaurant style, healthy vazhaipoo uthappam recipe for your breakfast/dinner with step by step photos. Don’t forget to check out my how to clean vazhaipoo, Vazhaipoo kuzhambu, Vazhaipoo vadai, vazhaipoo poriyal, Vazhaipoo usili and vegetable uthappam recipes. Drizzle 2 tsp of oil around it. By this time, the bottom portion of dosa would have cooked. Flip the dosa, press it lightly with the dosa flipper and cook the dosa in medium flame for 2-3 minutes. For variations cover and cook the dosa without flipping it. 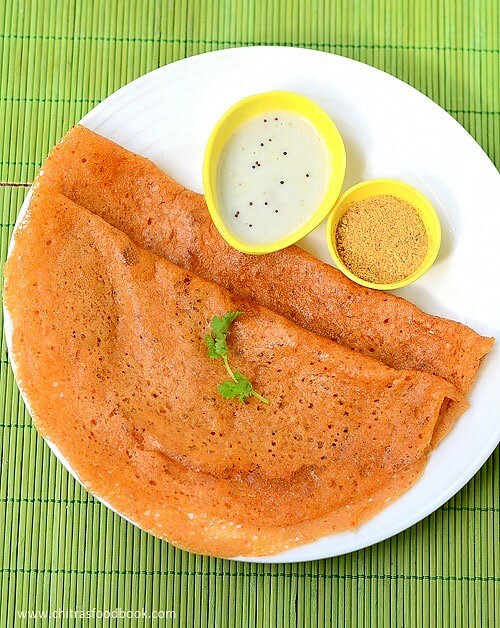 Mysore masala dosa (Karnataka masala dosa) is one of the most popular South Indian dosa varieties. Its very famous across Karnataka and is a popular street food in Mumbai too. 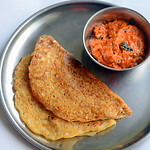 I have already shared Tamil nadu style masala dosa recipe here. 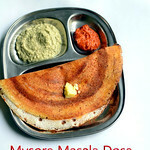 But authentic Mysore masala dosa recipe is a completely different from Tamil nadu masala dosa. 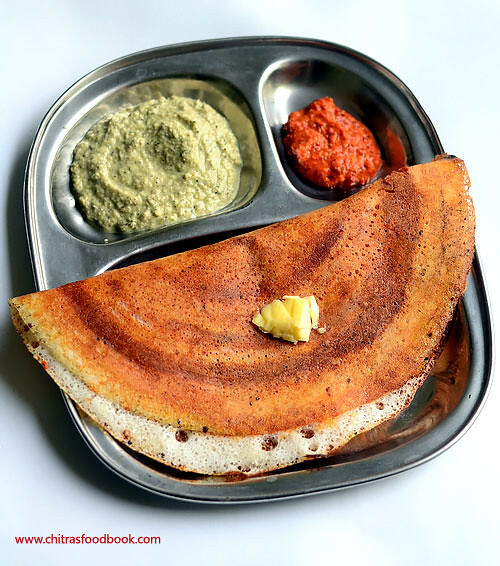 Apart from dosa batter ingredients, the basic difference between Mysore masala dosa and plain masala dosa is the red chutney. 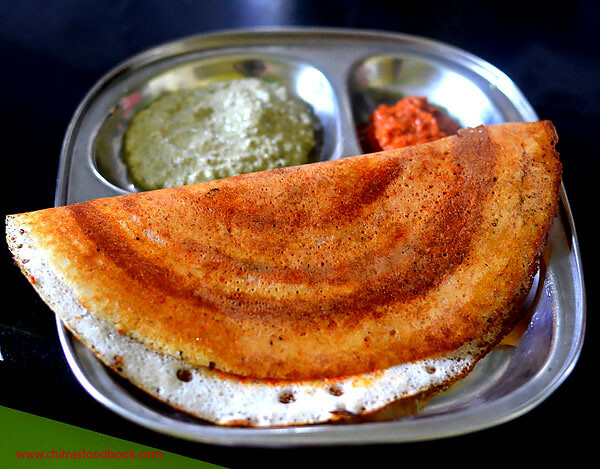 A spicy red chutney smeared in crispy, buttery dosa stuffed with mildly spiced potato masala is the highlight of Mysore masala dosa recipe. Being in Bangalore, Karnataka for the past 10 years, I have tasted this dosa N number of times in almost all the popular restaurants like MTR, Mylari, Darshini, SLV and even in street food. Everybody make it in their own authentic way. I am yet to taste Gandhi bazaar Vidyarthi Bhavan Hotel Masala dosa. Raksha is a big fan of Mysore masala dosa more than me. It was my long time dream to make this dosa in my kitchen that tastes close to the restaurant. So I was browsing for the same and bookmarked so many recipes.Finally I tried this recipe from HERE. I followed the dosa batter & potato masala recipe from there. 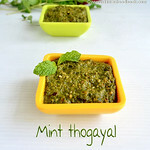 For the spicy red chutney recipe, I combined the recipes from THIS & THIS blog. 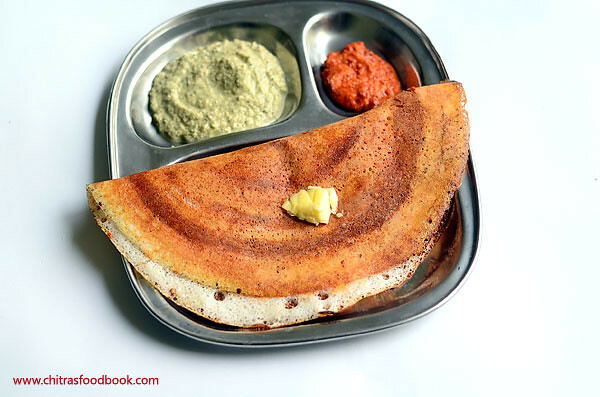 I served this hot & spicy dosa with coconut chutney for our Sunday breakfast. The moment Sendhil & Raksha tasted this dosa, they told “Wow, it tastes just like hotel ones”.What else I need, it shows the success of this recipe, Isn’t it ?? . I did not add so much butter like in hotels. You can add more if you like ! 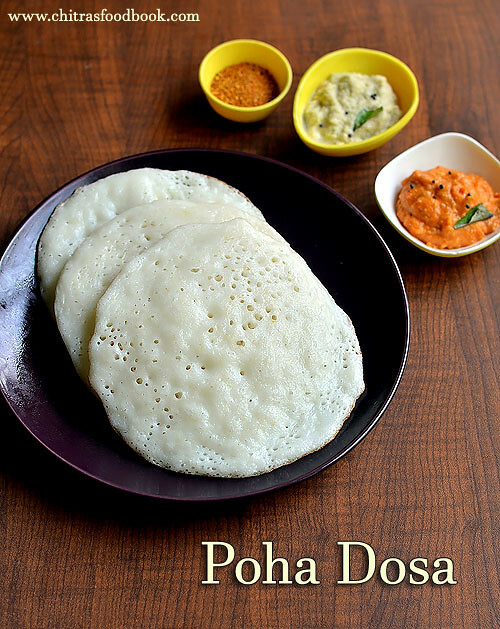 Friends, do try this dosa recipe at home and take the credits. Lets see how to prepare Mysore masala dosa recipe with red chutney, potato masala and coconut chutney recipe with step by step photos !! Wash and soak all the ingredients given under “For Dosa batter” for 3-4 hours. Grind them to a smooth paste adding the required water and salt. You can grind the batter in a big sized mixie jar. Remove the batter to a vessel and ferment it overnight or 12 hours.The next morning, batter would have raised well. Mix well and add 1 tsp of sugar. Mix well and leave the batter for 30 minutes to 1 hour without disturbing it. 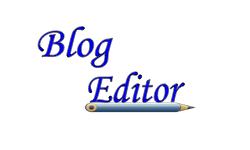 In the mean time, make red chutney, potato masala and coconut chutney recipes. POTATO MASALA FOR DOSA : Wash and pressure cook the potato for two whistles in low flame. Add turmeric powder and salt in the cooker. Remove the potato, peel the skin and mash it well. Set aside. Chop the green chillies and onion. Heat oil in a kadai and splutter mustard seeds, urad dal, chana dal, curry leaves. Add onion, green chillies and saute till transparent. Add the mashed potato, turmeric powder and required salt. Mix well. Add 1/4 cup of water if the masala is too thick and dry. 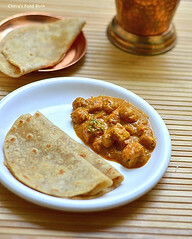 Make the masala like a semi thick paste.Keep it in a plate. RED CHUTNEY FOR MASALA DOSA : Heat 2 tsp oil and roast chana dal till golden along with the ingredients given under “For spicy red chutney” without burning them.Grind everything to a smooth thick paste. Make sure you don’t add more water while grinding the chutney. It should be thick and spreadable.Remove the chutney to a bowl. For variations, you can add fried gram dal & grind all the ingredients raw to make an easy version. HOW TO COOK DOSA : Now take the dosa batter and mix well. Heat a dosa pan and when the pan becomes hot ( Not smoky hot), sprinkle some water and wipe the dosa pan with a tissue paper or cloth. Keep the flame low and pour a big ladleful of batter. Spread it to a thin circle. Keep the flame medium now. 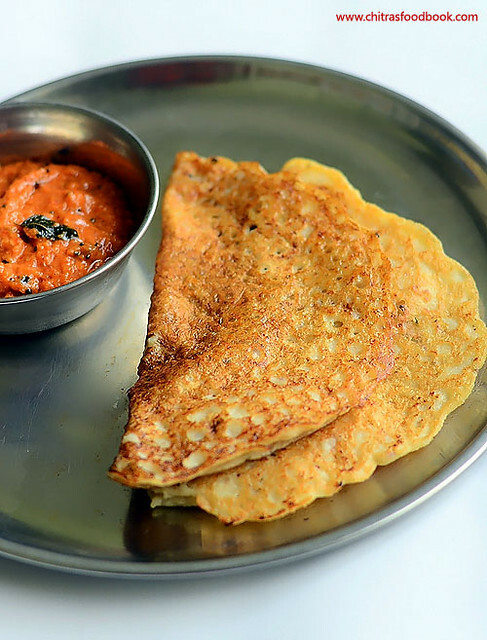 Let the dosa cook in medium flame for one minute.When the dosa is half cooked, spread the red chutney all over the dosa and drizzle 2 tsp of oil or butter around the corner and middle of dosa. By this time, dosa will become golden brown. Do not flip the dosa. Keep 3 tbsp of potato masala in the center of dosa and fold it. Remove in a plate. 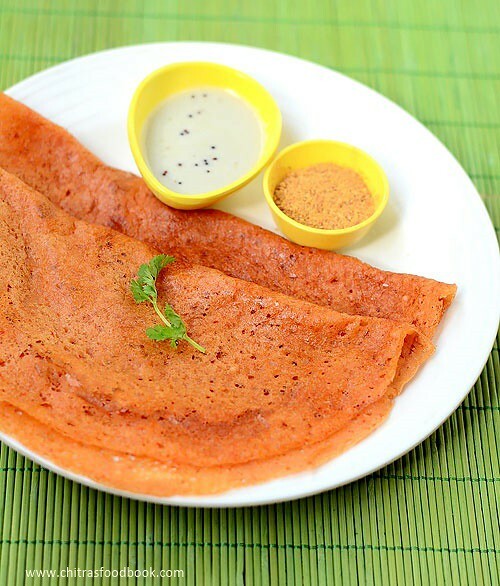 Golden red colored Mysore masala dosa is ready ! Serve it topped with a small piece of butter. 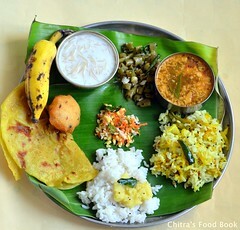 Enjoy with coconut chutney !! TIPS TO MAKE PERFECT GOLDEN BROWN DOSA : After making the first dosa, keep the flame completely low. Sprinkle a handful of water on the dosa pan. It will sizzle and absorb all the heat of pan. Then wipe the pan with a clean cloth. Now pour a ladleful of batter and spread it thin. Now increase the flame to medium and proceed as given above. For every dosa, make sure dosa pan is not so hot. Dosa should cook slowly in low to medium flame to get a nice golden brown color. You should add oil after the dosa is half cooked. Oil should sizzle all over the dosa. Do not flip it. Remove after the bottom turns golden brown. Top of the dosa should also look cooked without any batter. Each dosa takes 3 to 5 minutes to cook perfect like hotel style ! You can use thick or thin poha. Adding sugar gives a nice golden color to the dosa. So do not skip it. 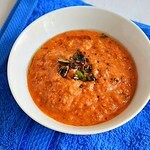 Add more or less red chillies based on the taste for red chutney and coconut chutney recipe. This dosa should be cooked in low to medium flame to get the crispy, golden colored dosa. So cook it patiently. Also make sure, the heat of pan is not less. Low heated pan yields dry dosa. Do not sprinkle oil as soon as you spread the dosa. Drizzle oil only after the dosa is half cooked.Add butter instead of oil for rich taste. 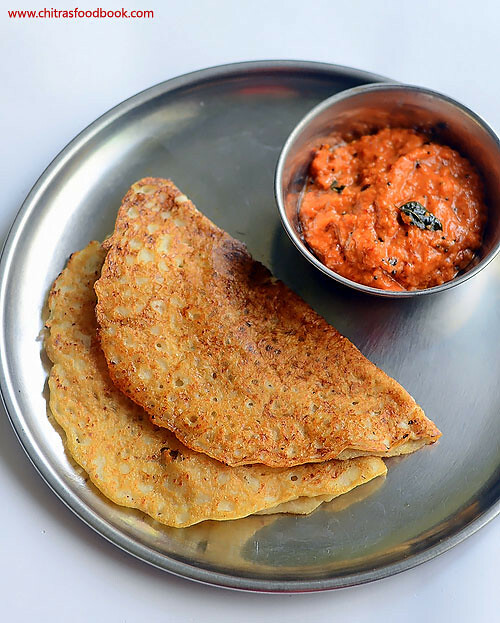 Enjoy making this Hotel style Mysore Masala Dosa recipe at home and serve hot with coconut chutney ! Tastes great !! 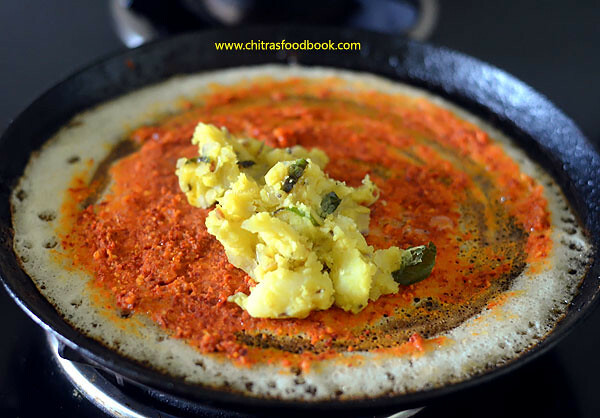 I have heard about Andhra’s Instant atukula dosa (Atukula Attu in Telugu,Avalakki Dosa in Kannada, Poha Dosa in Hindi, Aval Dosai in Tamil, Flattened rice in English) but I haven’t tried at home. For the first time, I tried this soft and spongy poha dosa yesterday for my in-laws as both of them have tooth problem. It came out super soft and everyone loved it at home with tomato chutney as side dish. This dosa batter is made without urad dal and the best part is that the batter doesn’t need over night fermentation. It can be made instantly after grinding. This aval dosai is sure a welcome change from the aval upma. I followed the recipe from Sailu’s blog but I altered the quantity of ingredients and made it without adding cooking soda. This recipe works great for this summer season.Do try it for your breakfast or dinner. You will love it and make it very often. 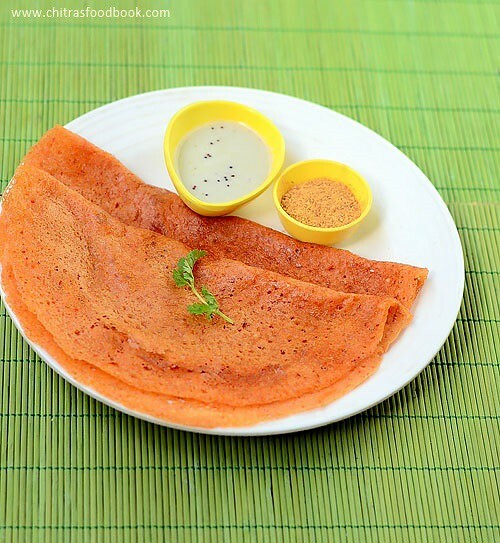 Lets see how to make Andhra special South Indian Aval dosa recipe with step by step photos. 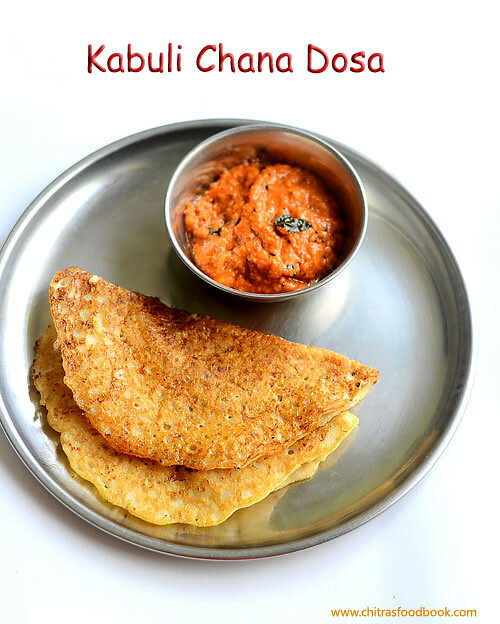 Also check out my 50 chutney recipes collection and choose any tomato chutney as a side dish for this dosa. 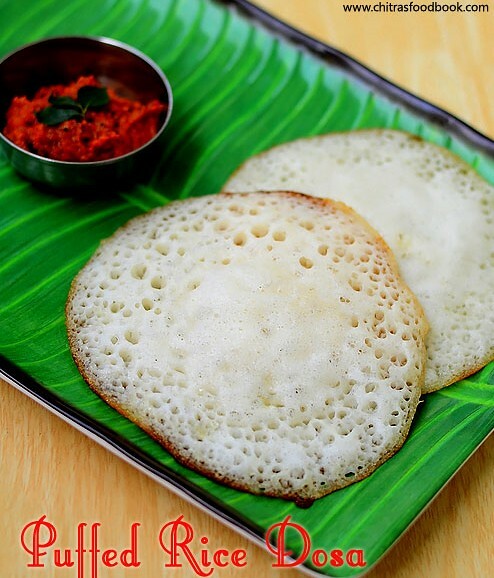 I must thank my reader Suchi Vasan for sharing this super soft, spongy puffed rice dosa recipe ( Arisi pori dosai). When she told me about the ingredients of this dosa, I just couldn’t believe it. Its just a two ingredient recipe and that too a dosa without urad dal. Puffed rice ( Arisi pori in Tamil, Mandakki in Kannada, Murmura/bhel in Hindi, Borugula in Telugu) is the star ingredient for this recipe. As I haven’t tried any puffed rice recipes other than Kara pori, I got tempted to try this dosa & tried it on the same day. This dosa is not an instant version.Its batter needs to be fermented really well to enjoy its best taste. As Suchi said dosas came out very well, ultra soft and spongy with lots of holes in it. I usually make sponge dosa adding poha/aval & methi seeds. But this recipe does magic just with the puffed rice. 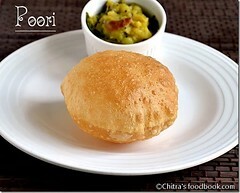 You can grind the batter easily in a mixie.With garlic chutney as side dish, it tasted great!! Now lets see how to make this soft, sponge dosa using puffed rice/arisi pori. Check out my other puffed rice recipes below. Wash the rice and soak in a bowl.Wash the puffed rice and soak in another bowl. 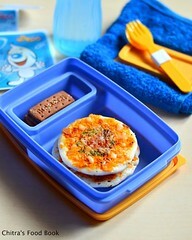 (You can soak both together too).Let the rice soak for 2 hours. After 2 hours,take the soaked puffed rice,squeeze it well and take in a big mixie jar.Grind it to a smooth paste adding less water.No need to remove the batter.Now drain the soaked rice and add to the same mixie jar. Grind to a smooth paste adding required water and salt. Transfer the batter to a vessel and mix with your hands to aid fermentation.Allow the batter to ferment for minimum 15 hours and maximum a day.The next morning batter would be raised slightly.Mix the batter well.Proper fermentation of batter is very important for this dosa. Heat a dosa pan and pour a ladleful of batter. Do not spread the dosa.It will spread automatically.Make it like thick uthappam.Drizzle a tsp of oil around the dosa and cover the dosa with a lid.Let it cook in medium flame for 2 minutes.Open the lid and remove the dosa.You will see the dosa with full of holes and it looks spongy.Serve hot with chutney.I made this spicy Garlic chutney as suggested by Suchi.Serve & eat hot to know its best taste !! Batter should be fermented well.So see to it. You can either cover n cook the dosa without flipping OR cook like utappam by flipping it. You can also soak and grind 2 tbsp urad dal along with rice for variations. Try this easy puffed rice dosa for your breakfast and enjoy !! Usually i make Kootu with sorakkai(Suraikai,sorekai in tamil,sorakaya in telugu,Lauki in Hindi,Bottle gourd in English).But this time for a change i tried dosa with bottle gourd as suggested by my MIL.She usually adds it while grinding rice flour dosa/verum arisi dosa or in paruppu adai to make the dosa very soft.But i added some spices along with rice & bottle gourd to make a spicy,flavorful dosa like adai.My friend Shalini used to tell me about her Karam dosa recipe.So i just used those spices for grinding this batter.It came out very well with a nice color as i expected.With coconut chutney as side dish,we loved it a lot.I was very happy that i could make a spicy,yummy,flavorful dosa variety adding a healthy vegetable.Friends,if you buy bottle gourd/Sorakkai,don’t forget to try this dosa.You can enjoy it for your breakfast and dinner as well.Ok,lets see how to make bottle gourd dosa with step by step pictures. Here is my Sorakkai Kootu Recipe – 2 versions,check it out ! Spicy,soft dosa made of bottle gourd. Wash and cut the bottle gourd.Scrape the outer skin and discard it.Now slit the bottle gourd into two pieces and remove the central soft,spongy part.Discard it.Chop the remaining bottle gourd into pieces and add to batter. 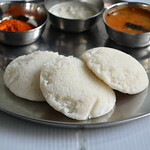 Wash and soak the idli rice for 2 hours.After 2 hours,take the big mixie jar and add the chopped bottle gourd flesh part,red chillies,cumin seeds,hing and ginger piece.Grind it to a smooth paste.Now add the rice draining the soaked water and required salt & water.Grind it to a smooth paste. Transfer the batter to a bowl and let it ferment for 8 hours or over night. The next morning,mix the batter well and add some water if its very thick.Heat dosa pan and pour a ladleful of batter.Spread it thin and drizzle a tsp of oil around the dosa.Cook the dosa in medium flame and flip the other side.Cook for few minutes and remove.Serve hot with coconut chutney. If you don’t want to flip the dosa,cover & cook the dosa for few minutes,fold it and serve. I used byadge chillies to get more color and less spicy taste.Please adjust the quantity of chillies as per your need. If you wish to make this dosa as thick adai adding lentils,soak 1/4 cup of toor dal and 1/4 cup of chana dal with rice and grind the batter. 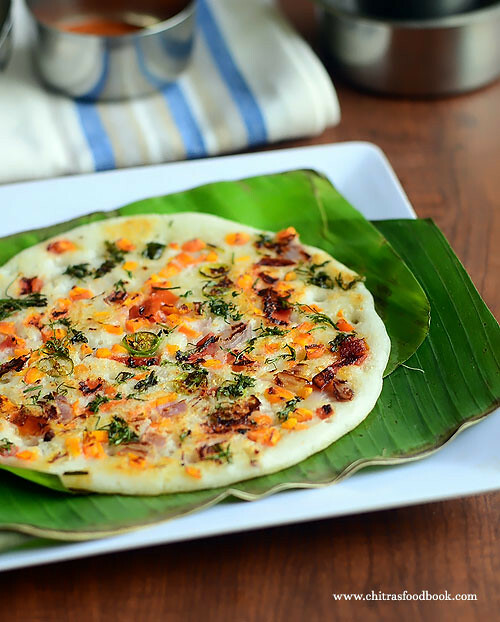 Enjoy this yummy,colorful,healthy bottle gourd dosa with coconut chutney & Idli podi ! !